How can joint aims for development in the marine area be established? In what ways can stakeholders be involved in identifying spatial conflicts in a cross-border area? 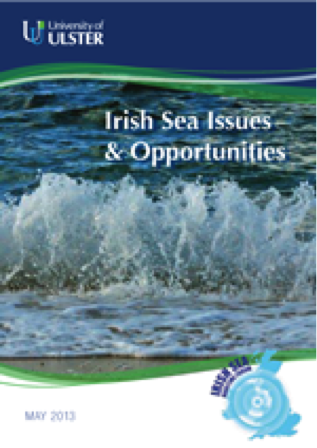 The Irish Sea Issues and Opportunities report was intended inform the direction of future Irish Sea Maritime Forum activities and forthcoming maritime planning in the region. A stakeholder workshop was held in Liverpool in November 2012 to provide the basis of a draft paper, focussing on Fishing; Marine Energy; Ports and Shipping; Tourism and Recreation; and the Environment. The draft paper was circulated for further consultation before a final report was produced in May 2013. In order to produce the report Irish Sea Maritime Forum Steering Group members first determined the maritime sectors that were thought to be the most relevant for the future development of the Irish Sea and where cooperation between maritime spatial planning authorities might be beneficial. These five sectors were then used as the basis for facilitated sessions at a workshop held in November 2012 in Liverpool, which was attended by over 60 delegates from around the Irish Sea region. Material generated during workshop discussions was then used to inform the draft Issues and Opportunities document. This draft document was then circulated to Irish Sea stakeholders for further consultation and comment before the final report was published in May 2013. The Issues and Opportunities Report can be used by maritime planning authorities in all jurisdictions of the Irish Sea to highlight key issues that may be transboundary in nature and requiring transboundary cooperation to deal with. Also the report highlights areas of strength or potential in maritime activities that may be exploited through future planning efforts.